Summer isn’t over yet my friends! We still have a month left of vacation before my kids go back to school. So we are fitting in the most summer fun, food and activities in these next 4 weeks as we can. We love eating all the cool summer treats that come our way, especially when it helps us stay cool. 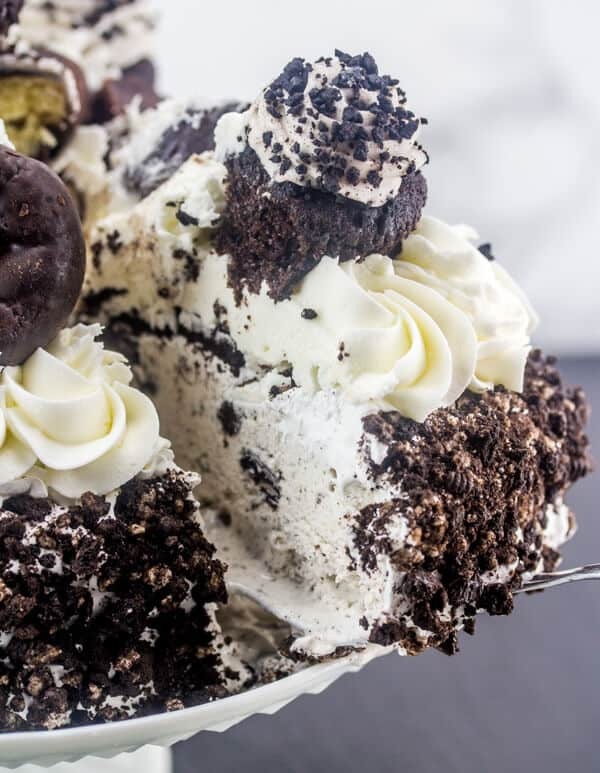 exactly what this Oreo Ice Cream Freak Cake is doing! 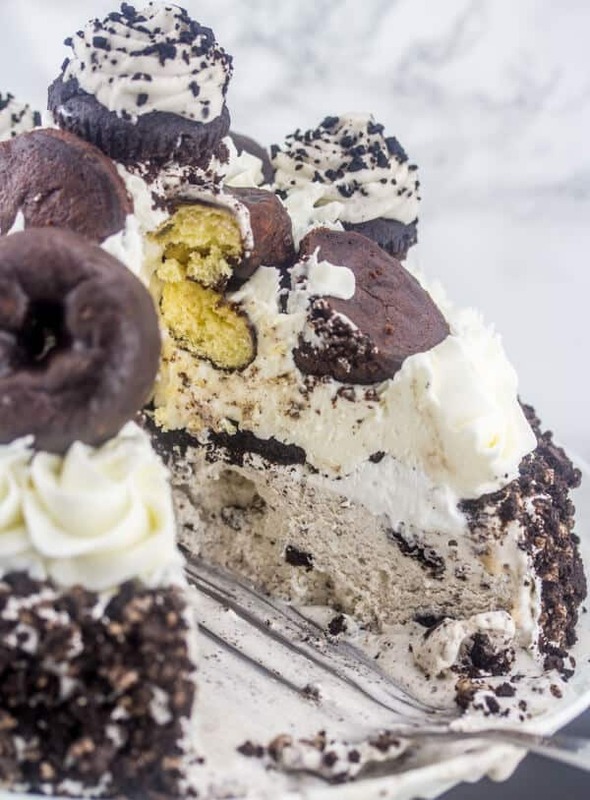 Delicious Oreo Ice Cream cake is amped up and decorated to the nines to make a fun, show stopping treat. Now you all know I’m a cake girl. Cake decorating is what I live for. Sometimes however I don’t feel like turning the stove on, that’s where I Love Ice Cream Cakes comes in handy! I Love Ice Cream Cakes showcases delicious frozen ice cream cakes for all occasions and summertime celebrations, available in grocery stores in the bakery or freezer section nationwide! come in many different styles and sizes, including original Carvel®, Jon Donaire® and OREO®! 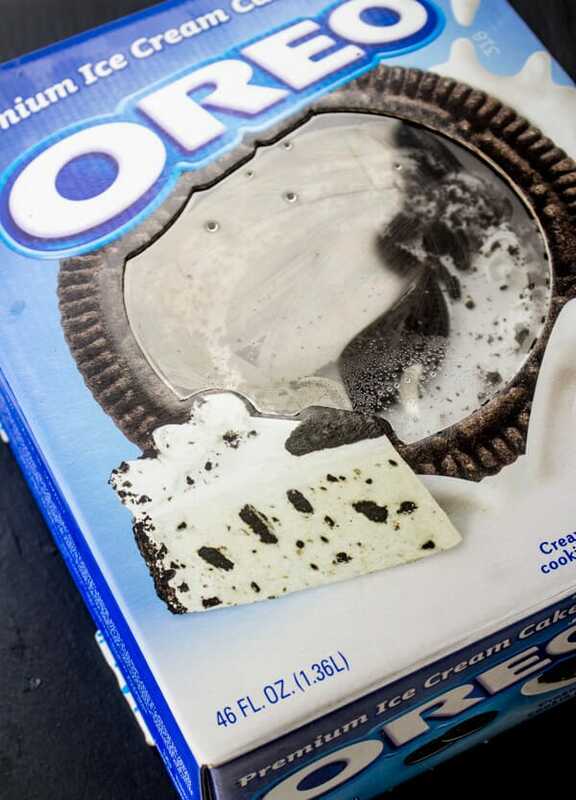 So obviously since we are a lover of all things cookies and cream we went with OREO®. Although I didn’t want to bake my own cake, I could help but give it a few glamorous touches since that’s kinda sorta my thing, ya know? 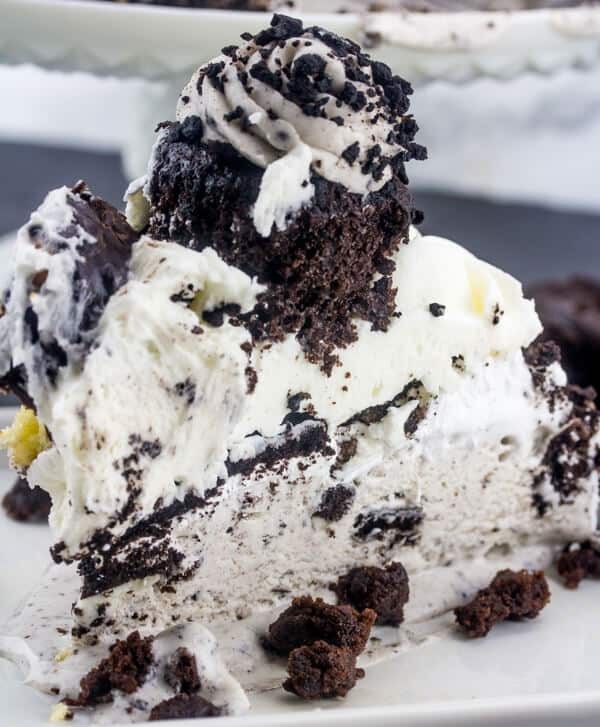 So if you’re looking for a fun way go amp up a cake with little effort head out to your local store and find an I Love Ice Cream Cake and go wild. Be creative, have fun, isn’t that what life’s about? And this cake just kinda makes it just that much more interesting. 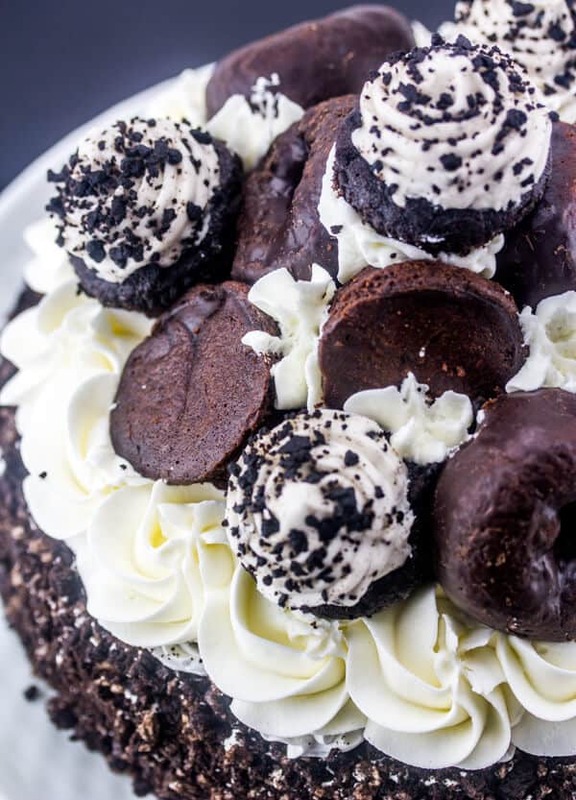 So to make this cake get yourself 1 OREO® Ice Cream Cake. 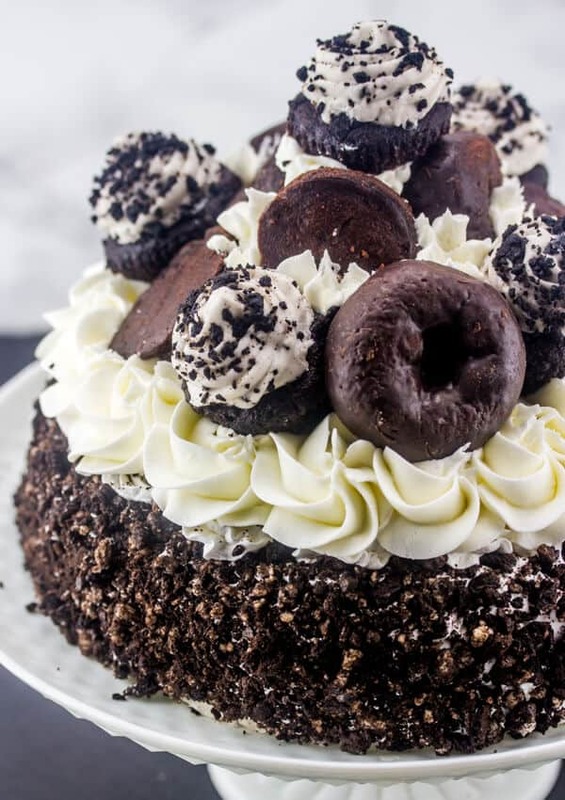 Mini cookies and cream cupcakes, brownie bites and chocolate covered donuts. Make your favorite white buttercream (1 stick butter, 1/2 cup shortening, 1 tsp vanilla, 4 cups powdered sugar). Cover the top of the cake in butter cream and then spiral rosettes around the outside of cake. Top with your cupcakes, brownie bites and donuts. ENJOY! I found my I Love Ice Cream Cake cake at my local Wal-Mart in the bakery freezer section.